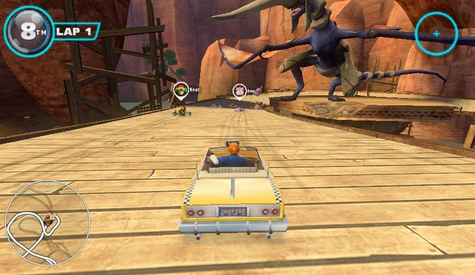 All Star Racing Transformed jumps the gun on European Vitas. Woops! Street dates don’t mean much on the information super highway, I guess. Sony Europe accidentally put Sonic and All Star Racing Transformed up on the PSP Vita’s digital store a wee bit early. It has already been pulled from the digital market place but those who acted quickly are now happily racing. For screenshots and some hands-on impressions of this “still unreleased” game, head on over to Sonic Retro.